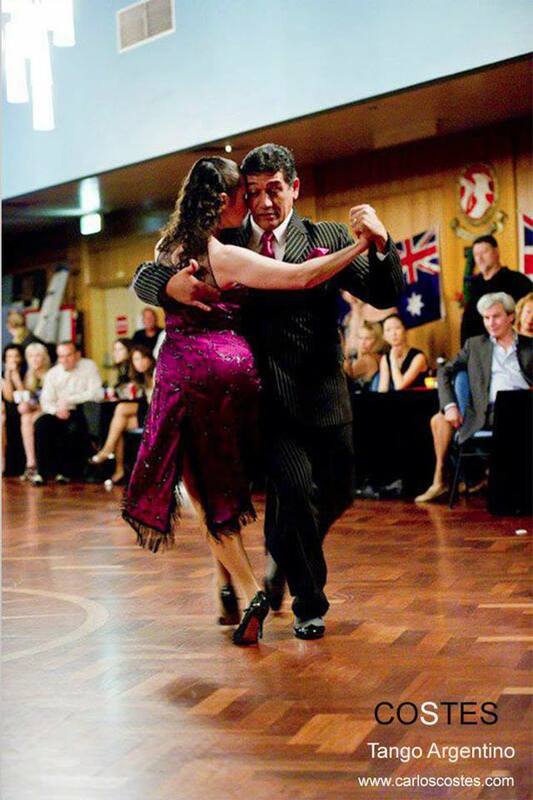 Research suggests that dancing the Tango greatly improves mental health. Tango has shown a greater increase in mindfulness, as one has to be fully engaged in the present moment to execute complicated dance moves. You can’t have a chat and dance tango. This passionate dance needs effective communication between partners and to be able to really connect and feel what your partner is “telling”, you need to be 100% present every moment. In this way, Tango can also act as a form of meditation. Especially if you close eyes, you will feel and connect with the music as well as move and flow with your dance partner. It was also found to be the only physical activity associated with a lower risk of dementia. Tango is all about improvisation, as there are no fixed dance moves to follow. The dance requires split-second, rapid-fire decision making, which makes us use several brain functions at once — kinaesthetic, rational, musical and emotional — further increasing your neural connectivity. When we take decisions by doing new physical or mental activities, our brain creates new neurological pathways. Because so many decisions are involved in dancing, it will ultimately help strengthen our muscle memory and the communication between multiple different neural systems. Canberra offers a great diversity of attractions and experiences all within close proximity. Our trip on 22 March offers two outstanding destinations: The National Gallery of Australia and The Australian War Memorial; you choose. Delight in the art and world-class exhibitions on show at The National Gallery of Australia, on the shores of Canberra’s Lake Burley Griffin. Art lovers will enjoy meandering through the galleries and admiring the collection, which includes the famous ‘Blue Poles’ by Jackson Pollock and the Ned Kelly series by Sidney Nolan. Tours and activities are a great way to get more out of your visit. 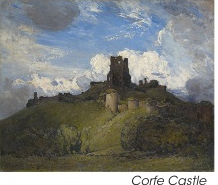 One hour Gallery Highlight Tour available 10.30 am, 11.30 am, 12.30 pm, 1.30 pm and 2.30 pm daily. This display celebrates the donation of Gordon and Marilyn Darling’s collection of watercolours by the critically acclaimed Western Arrarnta artist, Albert Namatjira. 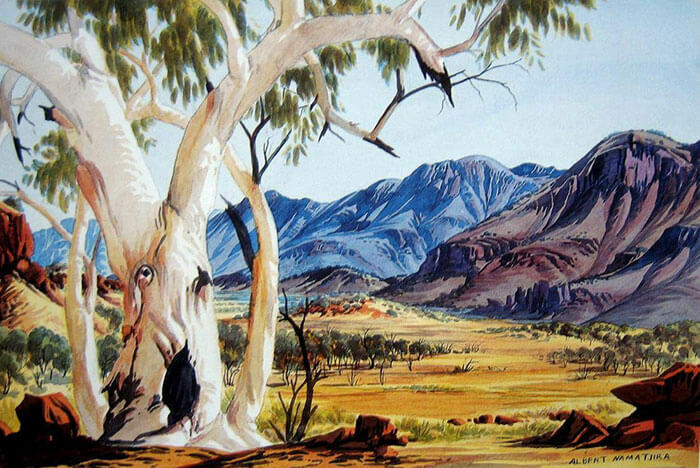 It also features works by the Hermannsburg artists who continue his legacy. This Exhibition heralds the return of Arthur Streeton’s Golden summer, Eaglemont from the National Gallery, London, all of the NGA’s major Australian Impressionist works will be hung together, offering an unprecedented opportunity to experience the depth and richness of the national collection. David Hockney has been an important figure on the international art scene for half a century. This exhibition explores the broader history of his printmaking practice through key works from the NGA’s extensive collection, one of the largest in the world. 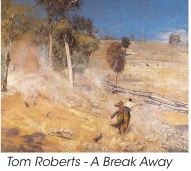 This Exhibition brings together key works from Streeton collections around Australia and overseas, Streeton’s contribution to the Australian war effort was significant. The Australian War Memorial is also a standout place to visit. There are free frequent guided tours. Departs Brodie Ave, Little Bay at 8am Returns 7pm. Cost $60 pp. Bookings Essential.